Titan looks to bounce back to form in 1st time Blinkers. Titan is our sole runner at Hereford at Tuesday, he was slightly disappointing last time after finishing a very close second at Wetherby the time before. 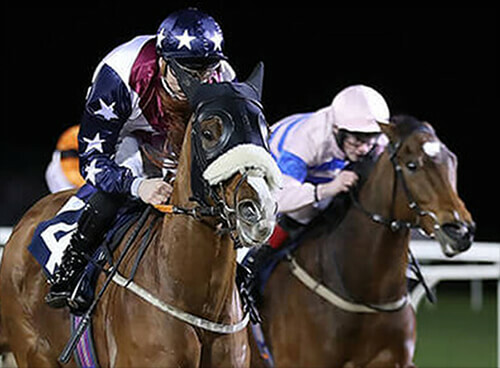 We are hopeful that the return to a flat track will suit and he will also be wearing blinkers for the first time so hopefully he can return to the form he showed at Wetherby and go close. David England who has rode him on the last 3 occasions keeps the ride.